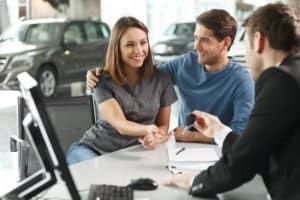 If you’ve been searching for a Kia dealer near Jenkintown that’s fully equipped to be your one-stop automotive resource, we here at Sussman Auto Group would like to introduce you to the various services we’re able to provide. Below is a brief overview of what we have to offer. Continue reading to figure out for yourself if we’re the kind of dealer for you. Whether your sensibilities and priorities point you in the direction of a versatile SUV like the Kia Sportage or the Kia Soul or a stylish sedan like the Kia Optima or the Kia Forte, you can be confident that we’ll be able to help you find what you’re looking for here. Don’t forget that our friendly sales staff will always be close by to lend a hand whenever it’s needed, whether you’d like to get a closer look at a specific car or feature or you’re ready for that all-important test drive. After you’ve returned from your test drives and you’re sure you’ve picked out your next car, you’ll meet up with our team over in the finance department. These accommodating professionals will work with you to find the payment plan that best fits your needs. They’ll help make that happen by carefully explaining each of your options and answering any questions you might have along the way. Whether you’re in need of a simple oil change or something more complex, you can count on our certified technicians in the service department. They use the latest technologies and combine them with skill and know-how to provide you with the kinds of results that meet your high standards. As an additional convenience, we’ve provided you with the option of scheduling your service center appointments online. Located about 10 miles north of Center City Philadelphia, the borough of Jenkintown, PA, features several interesting things for its residents to do. 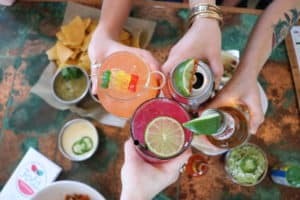 For instance, the King’s Corner Public House, Wet Whistle Bar & Grill, and Blue Comet Bar & Grill are excellent options for meeting your friends to get a drink and a bite to eat. Hilltop Mini Golf, Hiway Theater, and Bury the Hatchet Bensalem are also great spots to check out. Pay us a visit today to get behind the wheel of the kind of car that will help you enjoy this fine community even more. See below for the next steps to make that happen. With our vast inventory, one-on-one financing assistance, and proficient service center, our Kia dealership near Jenkintown is ready to satisfy all of your automotive needs. 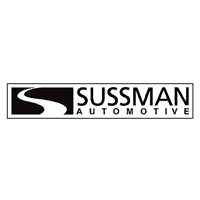 If you would like to experience all of the above services in person, contact our team here at Sussman Auto Group to set up a convenient time for you to take a test drive!